Online Registration for our Catholic Schools! Enroll in a Catholic school today! For Returning Students - Use the parent Powerschool login, the same place that you review your children&apos;s grades and attendance! Simply login to Powerschool then click on &apos;Registration&apos; on the left hand side of the page! Our Lady Academy Middle and High School in Bay St. Louis has an opening for an Art Teacher for the 2019-2020 School year. Applications and resumes may be turned in to Principal Marilyn Pigott at marilyn.pigott@ourladyacademy.com Applications may be found under the employment page of the Diocesan website. St. Alphonus Catholic Elementary has an opening for a teacher position for the 2019-2020 school year. Applications and resumes may be turned into the Principal Deacon David Allen at dallen@stal.org Applications may be found under the employment page of the Diocesan website. 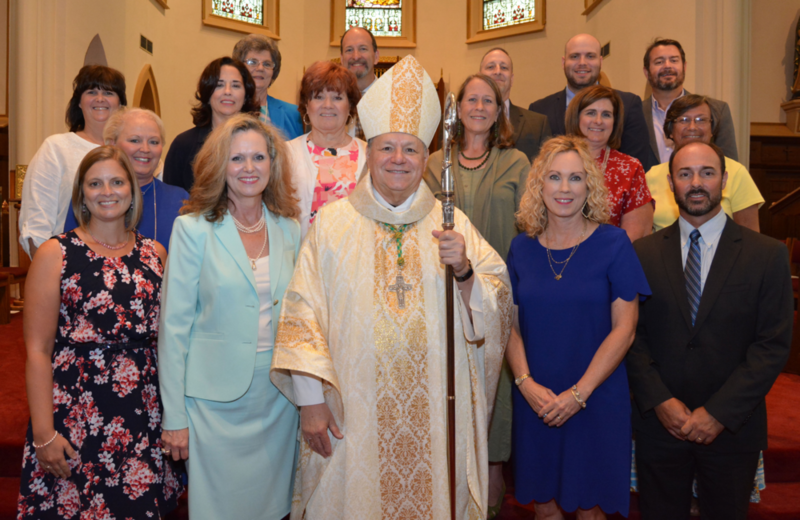 St. Charles Borromeo Catholic Elementary School in Picayune has an openings for the following: certified elementary school teachers and teacher assistants, prek-2 noncertified teacher part time or fulltime, a basketball/soccer/golf coach, and a self- contained teacher or Math teacher for the 2019-2020 school year. There Applications may be turned in to Principal Dr. Sharon Guepet at dr.guepet@stcbcatholicschool.org Applications may be found under the employment page of the diocesan website. Applications may be found under the employment page of the diocesan website. St. Vincent De Paul Catholic Elementary School in Long Beach has an immediate opening for a secretary. Applications may be turned in to Principal Carol Church at cchurch@svdpcatholicschool.org Applications may be found under the employment page of the Diocesan website. Need help setting up the new PowerSchool/SchoolMessenger single sign-on? Watch video below!